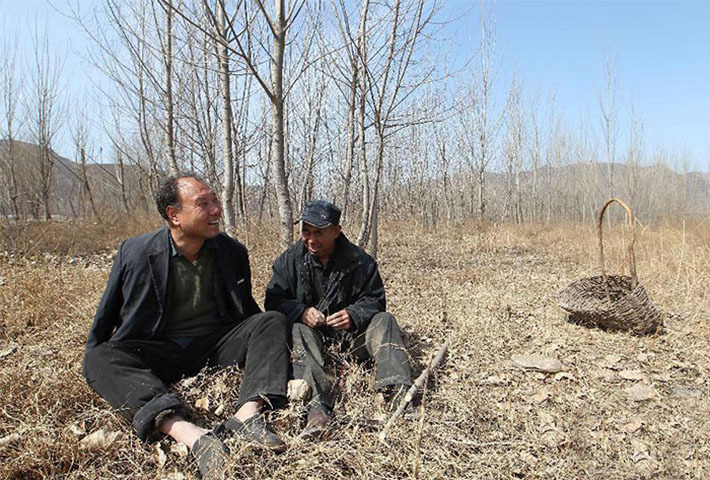 Just 12 years ago, a stretch of land in Jingxing County, Hebei, China was filled with nothing but rocks and weeds. 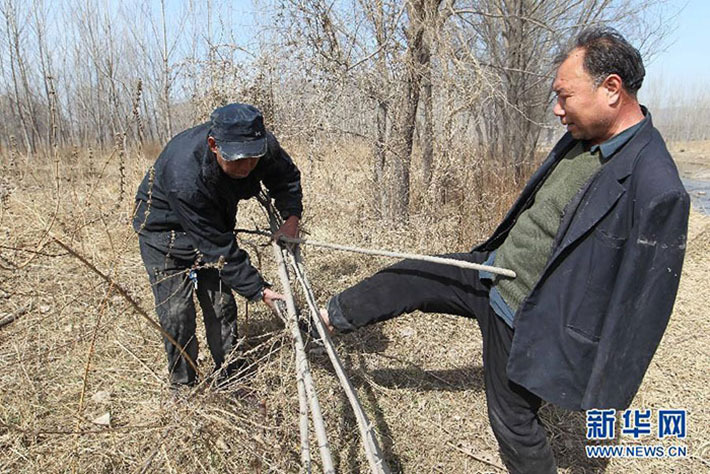 But thanks to the dedication and hard work of Jia Haixia, an elderly blind man, and his friend Jia Wenqi, a double amputee with no arms, that barren land is now filled with trees – growing, teeming with life. The amazing transformation is no small thanks to this amazing duo. 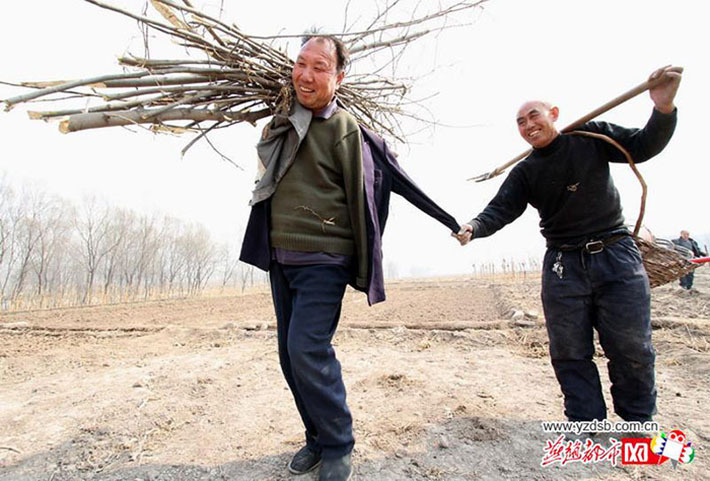 Haixia, now 53 years old, was born with congenital cataracts that left his left eye blind. He lost his remaining good eye in 2000 in an accident at work. 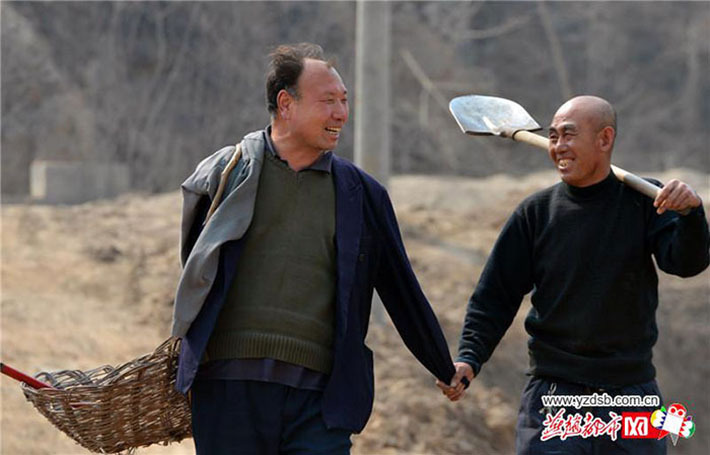 His good friend Wenqi, who is also 53, lost both arms in an accident when he was only 3 years old. Their unfortunate situations made it hard for them to secure any jobs. But that didn’t stop them from moving forward. 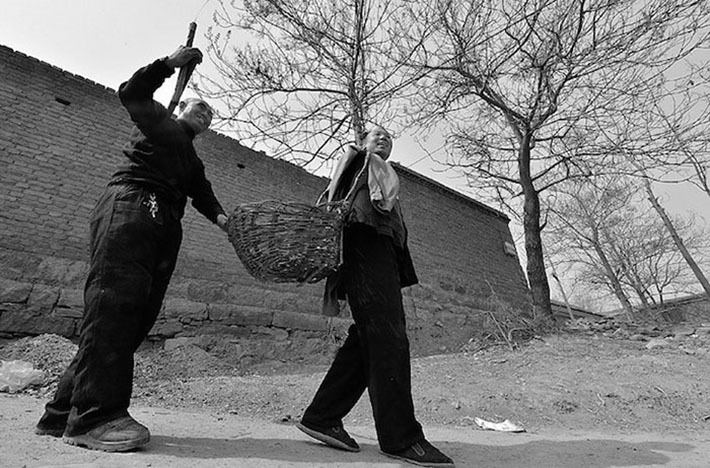 Haixia and Wenqi later on decided to lease over 8 acres of land near the riverbank from the local government. 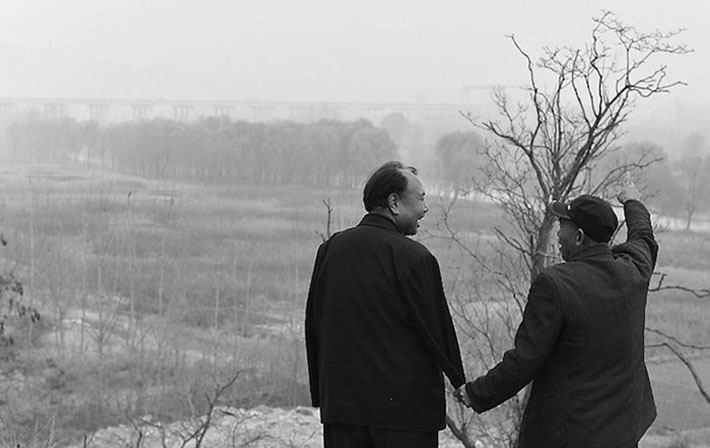 Their goal was to plant trees for future generations. The two friends rise at 7 AM every morning to work on their noble objective. 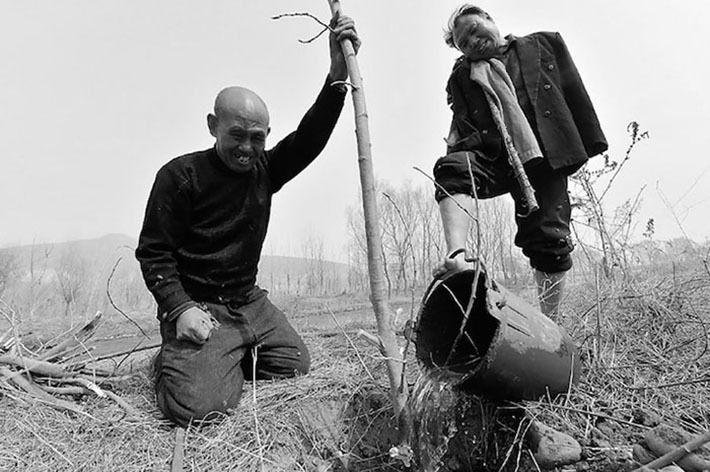 They had limited funds to buy saplings from the store so they mostly rely on taking cuttings from grown trees then planting them to create new life. Two years into living and laboring side by side, they overcame their individual disabilities and have learned how to work together. 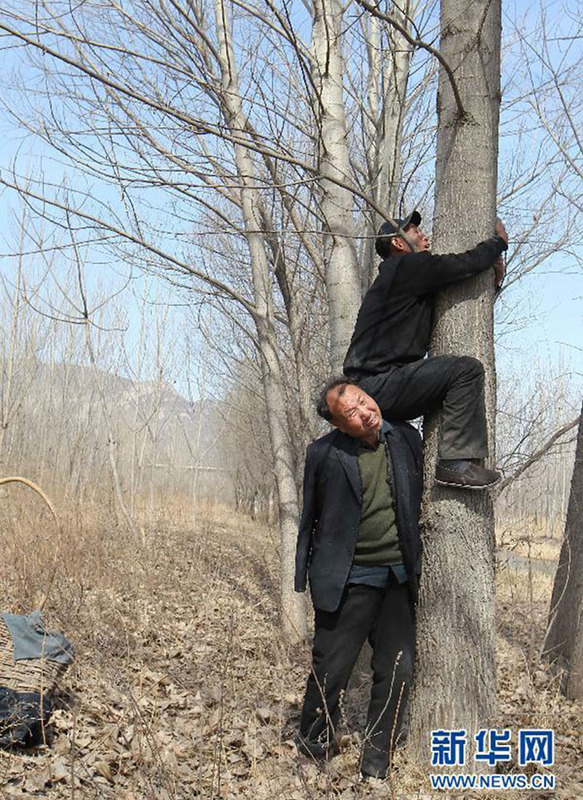 …while Haixia climbs to the top of trees to cut off the boughs that will become new trees. Haixia digs holes in the ground to plant the cuttings. Wenqi’s job is to take care and water the growing saplings. 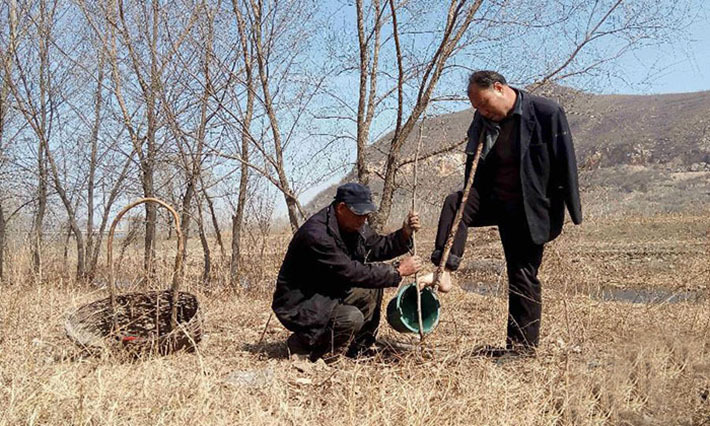 With their unique and impressive system of teamwork, the friends estimate that they’ve planted over 10,000 trees in over a decade. 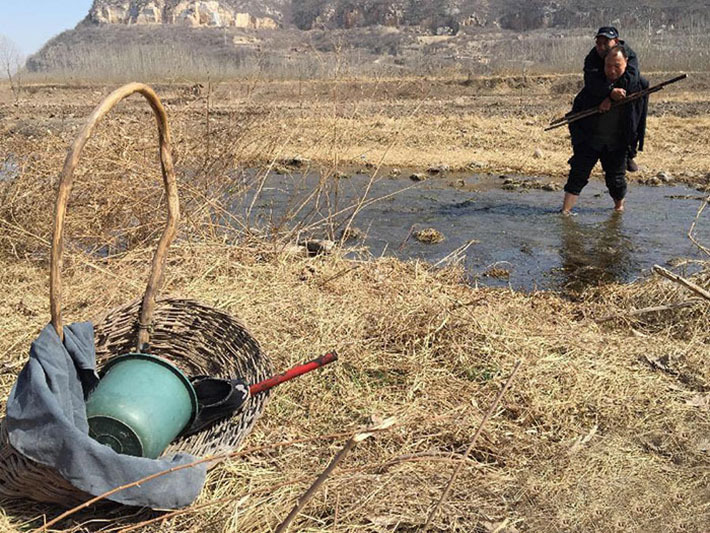 Not only do their efforts help protect and preserve the natural ecology of the land surrounding their village, but they’ve been able to help protect it from flooding, while also earning a modest income from government funding. 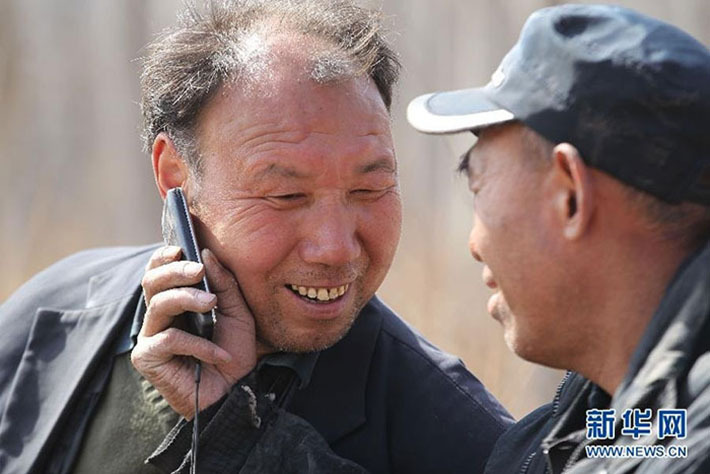 The elderly duo’s noble goal have received astounding amount of attention and support after news of their amazing work went viral in China. 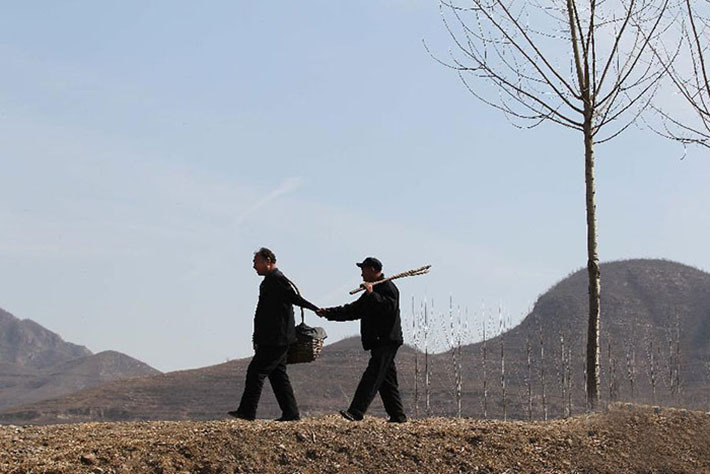 Many people have already donated money to provide them with pensions to support their lifestyles, this according to Hebei Haoren. Haixia may also soon receive surgery for his blinding, congenital cataract, according to an article from Xinhua News Agency. As it is with most heartwarming stories, “no good deed goes unnoticed.” Our hats off to you, kind sirs.